.SERPENT Media Archive - Sipuncula sp. Operational taxonomic unit: Sipuncula sp. 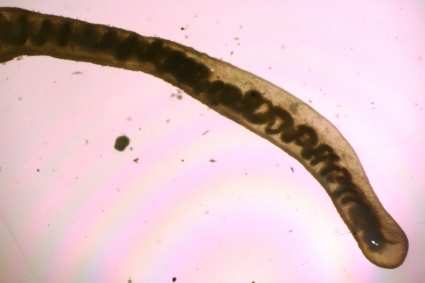 A. Sipunculans are unsegmented worms worms (whereas polychaeta are segmented). Anterior end of specimen with characteristic two ends of the gut being twisted together. Could belong to the genus Golfingia. Approximate length: 70 mm. Macrofauna (sieved on 0.5 mm).